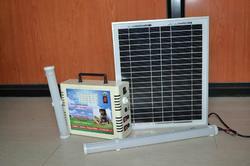 Use : Trekking, Traveling, Study, home, Farm, Campus Lighting. Jadhav Powertech home lighting systems are ideal source for providing indoor illumination in remote areas and un-electrified villages. 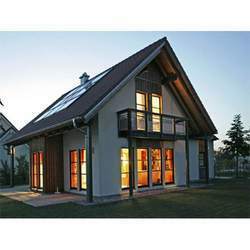 All light assemblies have built in high efficiency. Home lighting, emergency lighting, emergency power backup, study room lighting, ideal for rural homes, hostels, canteens, restaurants, shops etc. 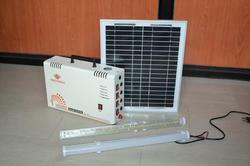 Low cost solution for home lighting, emergency lighting and camp lighting. No hassles of cable length limitations like DC systems. Can run cable to all locations of house. Can light up-to four CFL at a time. Simple user friendly front panel display. Low cost, alternative to expensive DC systems. 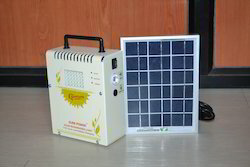 Built in high frequency inverter. 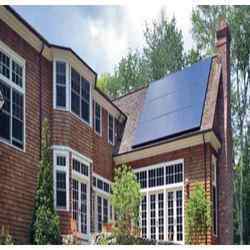 Our clients can avail from us a broad array of supreme quality Solar Home Lighting System, which is fitted with solar module and rechargeable battery that supplies 9 W of DC / 150 V AC power. These solar home lighting systems are offered with deep discharge, overcharge, overload and short circuit protection and an optional CCCV, which charges from 85 volts to 275 volts ac mains supply and are ideal for domestic, commercial and industrial applications. The offered product is reliable and have longer service life, which widely used in the dairy industry for lighting milk collection, chilling centers of rural areas, operating 15 inch color TVs, hand held games, laptops, lamps and fans. 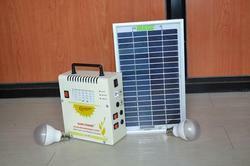 Looking for Solar Home Light System ?